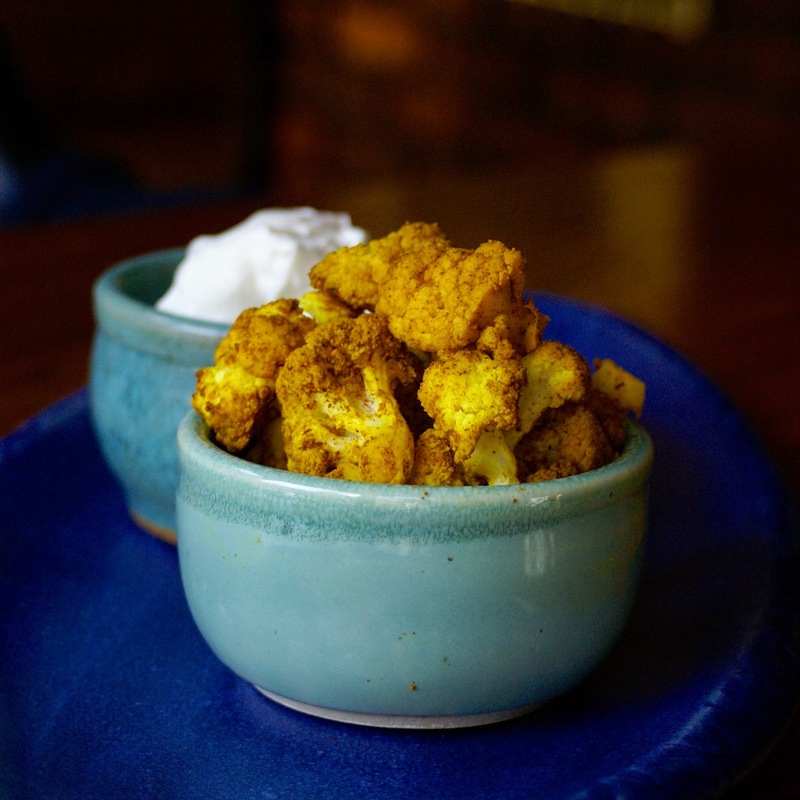 Never in a million years would I think to roast cauliflower with turmeric and cinnamon. But it works. Seriously! Heres the deal. I love cauliflower and cinnamon, and I’m trying to love turmeric because of all it’s health benefits. Unfortunately it is usually too strong of a flavor for me. Outside of the occasional pinch added to an omelette or dash in a curry dish, turmeric is pretty nonexistent from my diet. Enter these turmeric and cinnamon roasted cauliflower bites. They are sweet, nutty, and buttery. Not to mention super easy to make! I now keep a bunch in the fridge for my snacking pleasure. With a dollop of full-fat greek yogurt, these are super tasty! *If your cauliflower is on the smaller side, add slightly less spices. Add more if your cauliflower is larger. 2. Rise the cauliflower florets well, then pat them dry. Place then in a bowl and toss with the melted butter and coconut oil. Sprinkle with the turmeric, cinnamon, and salt. Toss until everything is evenly coated. 3. Spread the seasoned florets in a single layer on the prepared pan and bake for 20-25 minutes stirring once or twice. You will know the cauliflower is roasted because the edges will begin to brown and the color of the cauliflower will become golden yellow. Serve warm.